A spectre that haunts every author is the hopelessness of the slush pile. 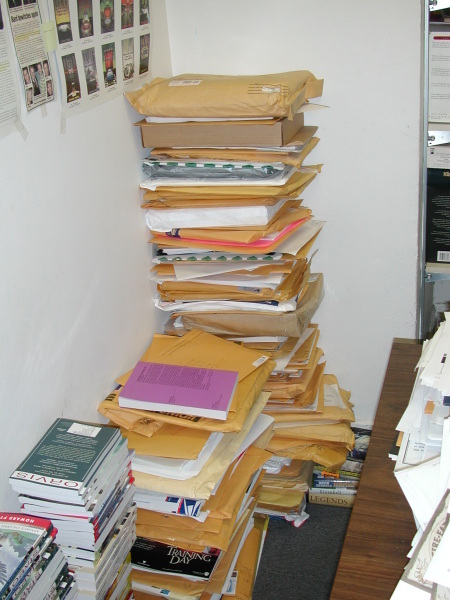 Where manuscripts often die an ignominious death – unopened, unread and unappreciated. So how do publishers select titles for publication? I recently came across a blog post by Catherine Franz on Publishing Central called “28 Reasons Why Publishers Will Buy Your Book.” Her list provides insight into the way the publishing industry currently selects titles for publication. What I thought was interesting was what was noton the list. There was no mention of acquisitions based on marketing analytics or backed by hard sales data. The list highlights author-publisher relationships, market intuition, editor ego and career gymnastics, publisher positioning and even some organizational politics. But no data with strong predictive value – e.g. what your target audience is seeking or responding to. Acquisitions are the spawning grounds for financial success or disaster. Here are some approaches that could help inform the acquisitions process. Use advanced Internet scanning such as the marketing intelligence software at Umbria. It combs sites and blogs, and gleans trends, influencers and potential new markets from important demographic information by analyzing the language and patterns of writing used. Track search keywrods and phrases to see what are peoople looking for in a given topic area. In the US, 147 million people access the Internet. It is the go to place to find out about things. Knowing what they’re searching for in a given area can help predict what sorts of books they might buy. Analyze hard sales data (e.g. Nielsen Bookscan reports) to identify buying trends and guide / validate acquisition decisions. Establish blog networks around key topics to build “starter audiences,” test content and respond to trends quickly. Perhaps a future list of reasons pubishers might buy a book will be reduced to just one entry – because there is objective evidence that tells them with a reasonable degree of certainty it will sell and make a profit. This entry was posted in blogs & writers, open publishing, publishing analytics, readership strategies. Bookmark the permalink.